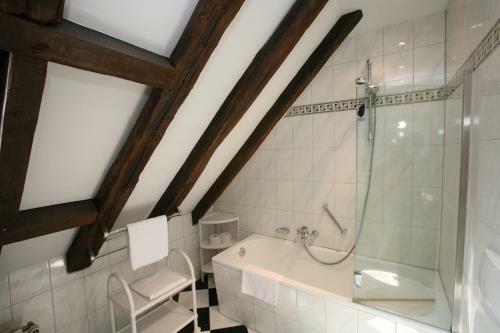 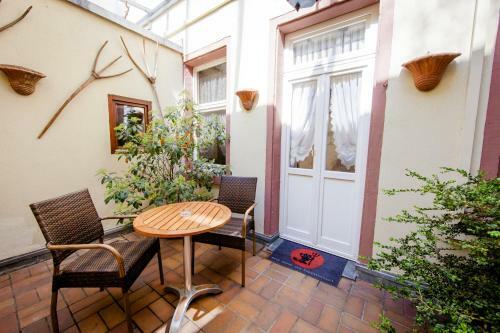 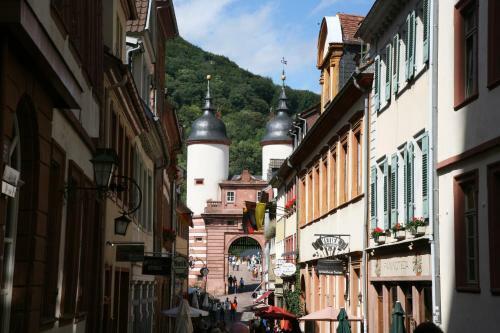 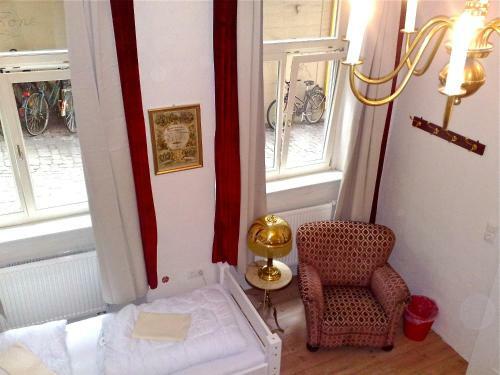 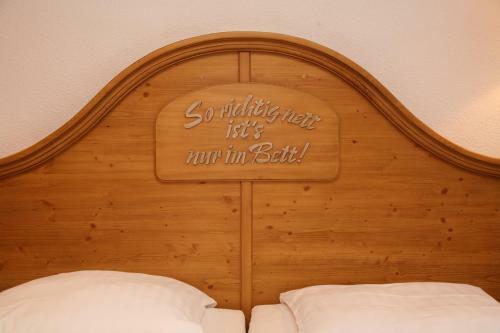 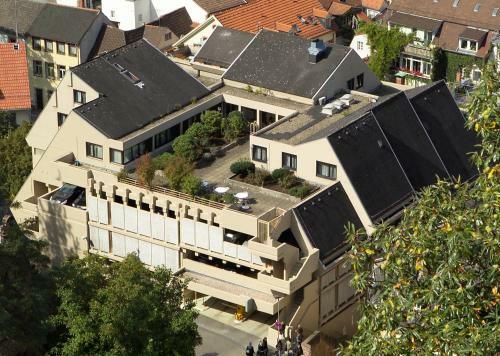 This stylish family-run hotel and restaurant is located in the heart of the romantic city of Heidelberg directly between the Heiligengeistkirche church and the Old Bridge. 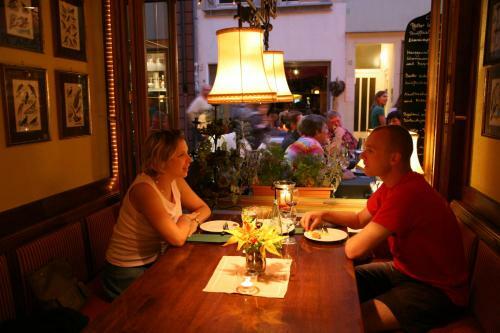 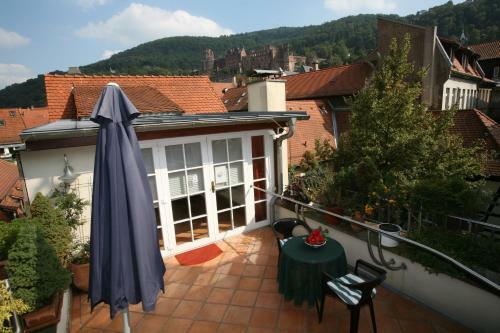 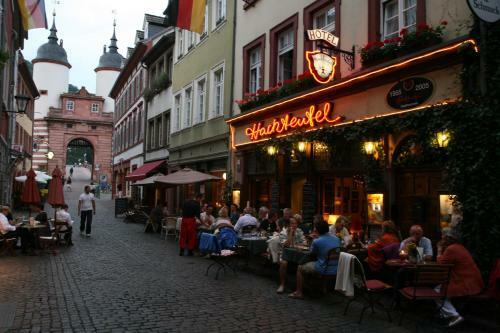 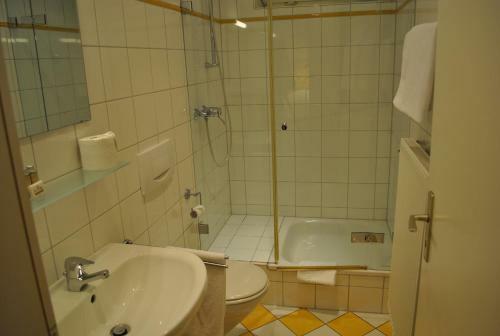 The Hotel-Restaurant Hackteufel provides a cosy and traditional ambience in the most historic part of Heidelberg. 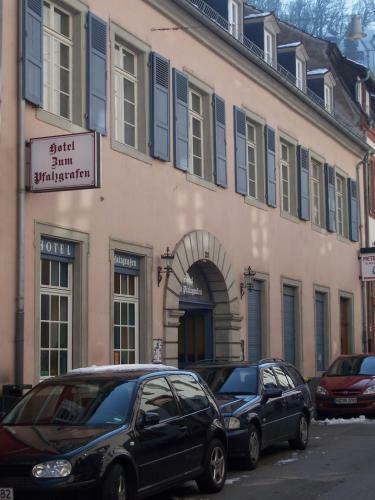 There was an inn on this site as far back as the 16th century. 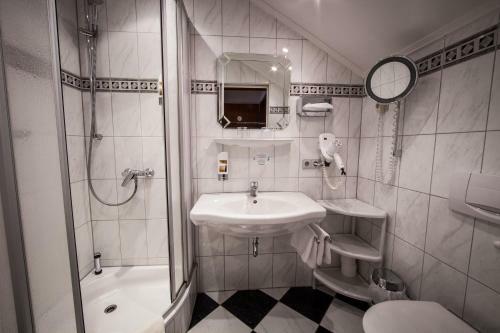 Nowadays guests can stay in comfortable individually furnished rooms and enjoy free wireless internet access throughout the Hackteufel. 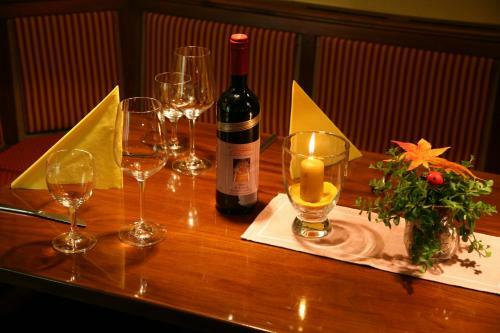 Treat yourself to delicious regional specialities in the rustic restaurant along with a refreshing beer or choose a wine from the fine selection in the in-house wine cellar.